The first sweepstakes went so well, we have decided to build another car for one of our lucky customers to take home once again! 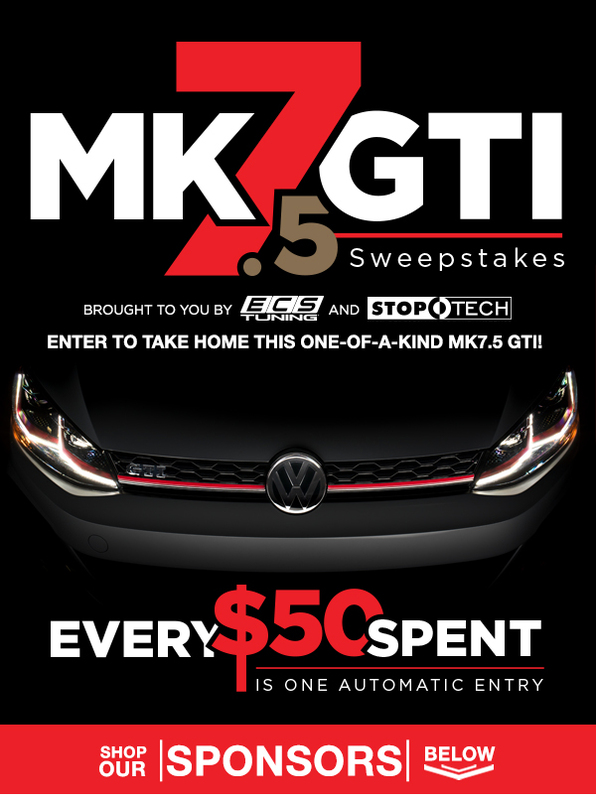 Every $50 spent on anything at ECS Tuning will give you an entry to win our brand new 2018 VW MK7.5 GTI that has been modified by Zach with tons of performance and visual upgrades. 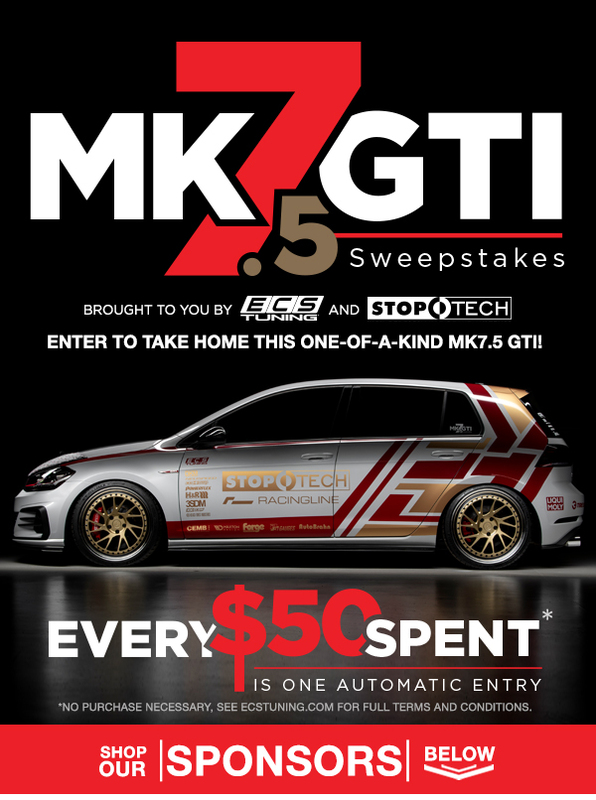 Enter to take home this one-of-a-kind MK7.5 GTI! Aug News! 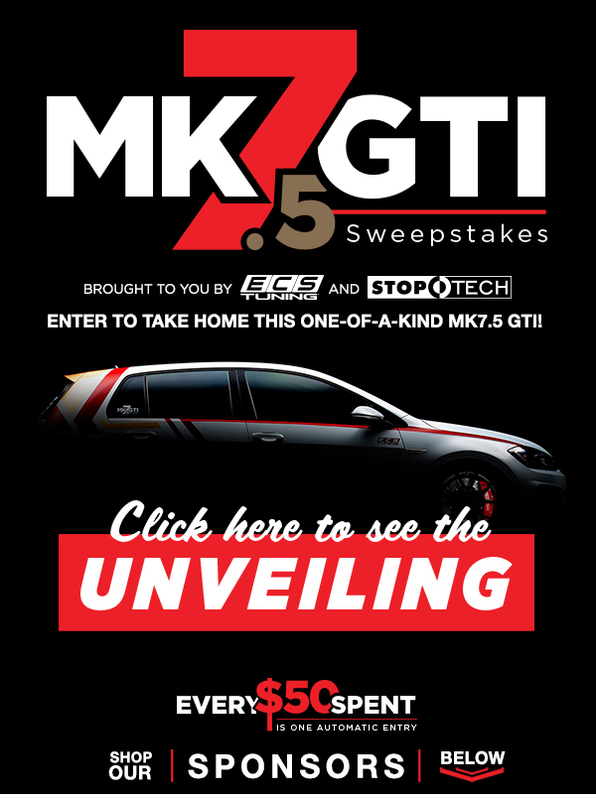 The MK7 Golf & GTI Razor 7 Exterior Styling Program by RevoZport is Here!